Langfang Yong it is a musical instrument with years of experience of the manufacturer, Alibaba Gold supplier. Exports more than 20 countries and regions is good, the products include: playing piano, tambourine, sand ball, EVA building blocks, African drums, Congas, children's musical instruments suit, bells and the like. He Yong Chinese musical instruments to create a good children's musical instruments! What percussion that? Percussion also known as "percussion" refers beat sound of the instrument itself. Some of which have a fixed pitch percussion instruments such as gongs, cymbals and other copper; there are no other fixed-pitch percussion instruments such as clappers, clapper, Ban Gu, drum, tambourine and so on. 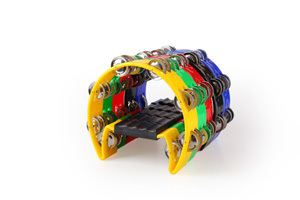 These percussion can exercise the child's ability to enhance the child's sense of music. In the baby's growth process, a lot of things to learn, such as: learning to crawl, you walk, learning to talk, learning to read, learn to write, learn musical instruments ...... which every aspect, parents will be devoted great effort. Many parents may be a little forgotten, in fact, the baby's sense of direction is to train in the early education process, a sense of direction is very important. Early Learning Orff music the way just to meet the child's sense of direction, enhance children's coordination, ability and imagination. Orff music education is a popular children's favorite music education. It was founded by German musician, music educator Carl Orff, set up 60 years in the widely circulated around the world, which allows children to have a new experience of music, making music, self-expression, music education emphasizes a cooperative manner with people. You can enhance the child's sense of music and hands-on coordination. Djembe is a percussion class film, the shape is modeled Africans used to grind corn or grain stone, with a single piece cut out empty trunk and then covered with sheepskin. Drum body about 50-60 cm in diameter and about 30-38 cm, but there are some djembe diameter from C?te d'Ivoire will be even greater. Langfang Yong it is a musical instrument with years of experience of the manufacturer, Alibaba Gold supplier. Good product exports more than 20 countries regions, the products include: playing piano, tambourine, sand ball, EVA building blocks, African drums, Congas, children's musical instruments suit, bells and the like. Yong He musical instruments for children to create a better world! Percussion also known as "percussion" refers beat and sound of the instrument body. 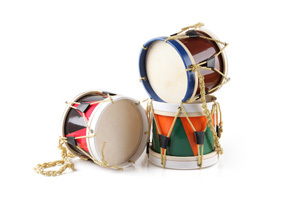 Some have pitched percussion such as gongs, bells, etc; and some other non-pitched percussion instruments such as clappers, clapper, Ban Gu, drum, tambourine and so on. China is a permanent instrument He has years of experience of the manufacturer, Alibaba Gold supplier. Good product exports more than 20 countries regions, the products include: playing piano, tambourine, sand ball, EVA building blocks, African drums, Congas, children's musical instruments suit, bells and the like. He Yong Chinese musical instruments to create a good children's musical instruments! Baby listen to music early education need to pay attention Shane, many mothers want to father baby on the small time train your baby's musical hobby, so I bought some music CD to listen to the baby, but so early childhood music is really useful, many mothers father unknown, so I want to know some of the material in this regard, with respect to the contents of this area, the following dad mother can understand and see. Carl Orff (1895-1982), the world-renowned German composer and music educator. Orff music education system is the world's most famous and one of the most extensive influence of the three music education system. "Orff instruments" the name used to refer only to the original manufacture of musical instruments Orff and Munich, Germany house to teach cooperation and development made the instrument sound bars with a resonance box (xylophone, glockenspiel, piano metal). 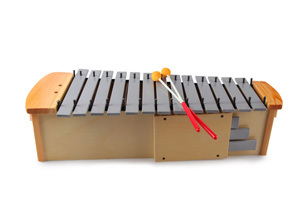 Today, the small percussion instruments used in Orff's "school music teaching" in the chord instrument used together bars, to be regarded as "Orff instruments." Babies like to have to repeat those simple and rhythmic music. However, your child may be uncharacteristically. Whatever the music, as long as your child seems to react, and that is most appropriate for him to play music. Early childhood education have to say, people's rights to education from infant stage, from already rapid access to "fight money mode", "poor baby" than "rich doll" is more likely to lose at the "starting line", and are becoming a significant reality . At the same time, some parents confused, early education is to accompany the child does not play, it is worthwhile on, was carefully chosen. China is a musical instrument Langfang Yong He has years of experience of the manufacturer, exports more than 20 countries a good area, products include: playing piano, tambourine, sand ball, EVA building blocks, African drums, Congas, children's musical instruments suit, bells, etc. He Yong Chinese musical instruments to create a good children's musical instruments!